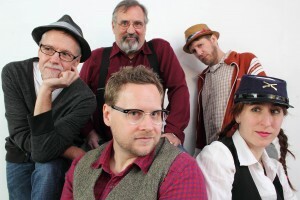 Blending captivating melodies with folk and rock, Chicago band Matthew Morgan and the Lost Brigade is carving its own niche in the local music scene. The band will perform its new album, "Found," at a CD release party on Dec. 14 at Double Door, 1572 N. Milwaukee Ave., Chicago. Fellow CAUDog label mates The Future Laureates, Goodbyehome and Jeff Brown. The show starts at 8:30 p.m., and tickets are available at www.ticketfly.com. I had the chance to talk to frontman Matthew Morgan, www.matthewmorganmusic.com, about the band's new CD. Q - You will be playing your new album, "Found," in its entirety at the Dec. 14 CD release show. Will that be a daunting affair? Do you think it will be hard to replicate the CD on stage, especially given the layered nature of the album? We've pretty much incorporated everything into our live set, except keyboards. That piece will be missing (for now). But, in truth we had to pair down quite a bit of what we normally do live for the recording to avoid sounding too "jammy" in the flattened out stereo format. In addition to violin (Anand Christopher) and lead guitar (Anita Chase) we have a multi-instrumentalist (Dave Szpunar) who literally plays five different instruments and keeps switching instruments throughout the show. He plays banjo, accordion, mountain dulcimer, 12 string, and mandolin. So, the lack of keyboards from the live set shouldn't be too much of a shock. Q - Is the album's name intentionally ironic given the name of the band? In sitting down to make the album, what were your goals? How do you think the band has evolved since you released your first album? The irony of the title wasn't lost on us by any means, but it was more of a situation where Kevin (bassist/songwriter) was working on creating artwork for the record and he just sort of threw that word out and everyone had one of those, "Do we like that? I think we do" kind of moments. I guess to us it also represents the way the band sort of came together. After I released my solo album in 2011, I was also showing my paintings at the Flat Iron Arts Building in Wicker Park. Kevin Lahvic is also the president of the FIAA and sort of a local celebrity in the arts community, which is where we met and discovered that we both also played music and wrote songs. We met Anita there too as she was performing solo gigs for a lot of the art events. Dave, Anand, and our drummer Jeff (Jeff Gilbert) were friends of mine who I had played with in various bands. But, in general everyone just kind of "found" each other through various means and later discovered that we all played instruments. There was never any kind of formal, "We are starting a band and holding auditions" kind of thing. So, after my record came out, I asked them to support the live gigs and for some reason they've all stuck around. Now, on this record, it's much more of a collaborative thing. In fact, there are three songwriters featured on "Found" (myself, Anita Chase, and Kevin Lahvic)...you can definitely hear the three different styles, but they sort of work together. We're kind of like Fleetwood Mac in that way. Kevin is an amazing artist. He's designed the cover for the album, as well as all of the merchandise that goes with it. He's even designed a full color, digital booklet that goes with this CD and is full of photos, song lyrics...basically everything tied to making this record. It's really beautiful! The booklet will be available on iTunes and as a free download on our website. Q - Ellis Clark, who also is the producer and engineer for your record label, CAUDog Records, also produces "Found." What do you think he brings to the table? Ellis brings a lot of experience with him. He's worked with a lot of top artists and yet he still maintains an informal atmosphere in the studio that encourages creativity. Most of the keyboard parts on the record are a result of him getting involved in the creative aspect of the album. He also has a really great ear, so it's definitely good to work with someone who picks up on all of the little things that could otherwise be missed, both good and bad. Q - Was it important to you to be on a Chicago record label? How do you think you fit in with your label mates? It was not important to us to sign to a Chicago label (or any label necessarily), but we did it because of the energy and positive encouragement that is immediately apparent with CAUDog Records. Michael Teach is a well known figure in the Chicago music scene and he's been supporting the careers of hundreds of Chicago's musicians either directly, or indirectly through his weekly podcasts on Chicago Acoustic Underground. We met him through a mutual friend, Hannah Frank, who is CAU's publicist and also an amazing singer- songwriter about town. I think that we're a really good fit with the label both musically and professionally and we have a lot of autonomy to do what we want to do and to get support wherever we need it. I do think that we fit in really well with our label mates. We're kind of in the middle somewhere between acoustic roots music, rock and blues. We're featuring three of the other bands on CAUDog Records at our show on Dec. 14 at Double Door; The Future Laureates, Goodbyehome, and Jeff Brown and all of these bands have a cohesive element of "rocking out" with a lot of acoustic and electric instruments on stage. It's going to be an amazing show! Q - It seems as though roots music is in demand these days, both on the local and national level. Why do you think that is? I don't pretend to have a clue what draws people to a particular sound, or genre of music. I like a lot of different types of music. But, I do wonder if it's possible that people have just become burnt out with the superficial, image driven music that is constantly forced upon them nowadays. I guess sometimes it's great to see and hear a spectacular event, but we're human beings and we still need feel some kind of tangible connection to our real everyday existence. I, personally, feel like that's usually missing when I turn on my television...but, what do I know? Speaking for myself, I just love history and the music that has been passed down through much more subtle avenues like campfires, local bars...that sort of thing. Also, I love acoustic instruments. Electric guitars are incredible, but I just haven't had that moment yet where playing an electric somehow pulls me away from wanting to create sound with an acoustic. I can't really imagine ever having one without the other. Q - You're also a visual artist. How do your think that has helped you out as a musician? I think both my paintings and music have informed each other, but they're also different in certain ways. When I write music, it's much more chaotic and free. It comes together much faster. However, painting for me is very linear and takes much longer to create from start to finish. I guess maybe where the visual comes into play is when I'm arranging songs, because it sort of forces me to visualize the song as a canvas divided into separate sections and then figure out how to weave those sections together in the most compelling way. Q - You've battled some health issues in the past. How have your used those struggles in your music? I was diagnosed with an immune system disorder called Chronic Fatigue Syndrome (CFIDS) in 2005. It is a pretty major illness that left me housebound for about two and a half years. I'm better now, but it's something I'll always have to manage as there is currently no cure. My first album "Red Silhouettes," is somewhat of a concept album based on stories from the American Civil War, but in reality, there is a lot about my battle with chronic illness in the lyrics on that album. For this record, I was much more free to express myself in other ways as my health has improved. Also, it's a collaborative record with the other members of the band and it's more representative of all of us together. 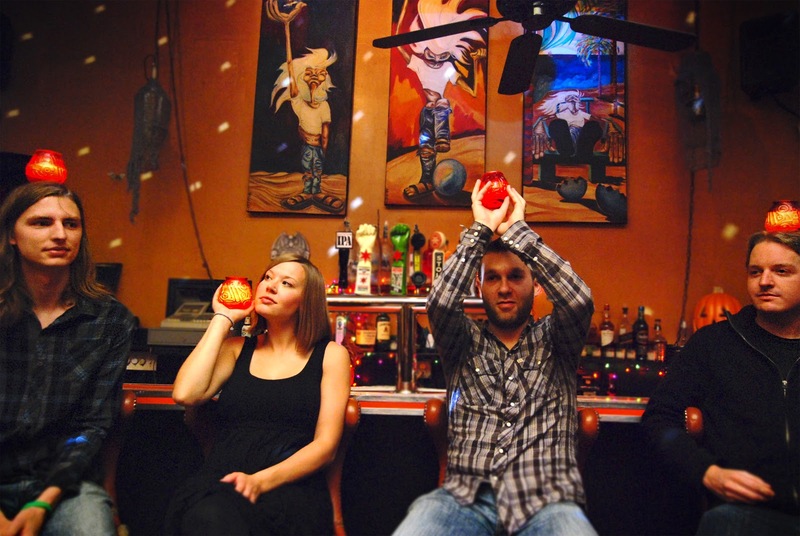 Q - How do you see Matthew Morgan and the Lost Brigade fitting into the Chicago music scene? What are the band's short-term and long-term goals? Rather than fitting into a scene, I think that we're more interested in building our own thing and then trying to find people to connect with. Chicago's music scene is so vast. It seems like we should know everyone by now, but we continue to find little pockets of musicians doing their own thing simultaneously and somehow our paths have never crossed. As for the future, as soon as the album is out, we're going to launch a college radio campaign and then design a series of weekend tours across the Midwest. I think the plan is to try to raise the money for the tour by using Kickstarter, or one of the other crowd funding sites. But, we're definitely not leaving Chicago as our home base. 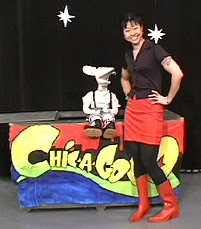 As the puppet host of popular Chicago TV dance show Chic-A-Go-Go, www.roctober.com/chicagogo, Ratso has proved himself to be the coolest rat on the local music scene. Ratso and his supergroup, The Rabbits, are one of the bands that will perform Nov. 30 at Bottom Lounge, 1375 W. Lake St., Chicago, to celebrate Roctober Magazine's 20th anniversary. I had the chance to talk to Ratso about the upcoming show. Q - So Ratso and the Rabbits will take the stage for the first time as part of the upcoming show. What should people expect? What do you think of that band The Goblins? We will not only be taking the stage for the first time, we will be meeting for the first time minutes before the set. It will be our first concert, first practice, and first introduction to each other, so what you should not expect is us to be stiff or over-rehearsed. This will be a loose, spruce, garage punk happening! The Goblins did the theme song for my TV show so I can honestlysay I've listened to them at least 919 times! Q - Why are masked bands better than non-masked bands? Q - What kind of music do you listen to and who are your musical influences? I listen to both kinds of music...punk and rock! My favorite artists are the Good Rats, Rat at Rat R, Rat Scabies, the Swamp Rats, RATT (first album only), and the Rat Pack. Q - You've interviewed so many bands as the host of Chic-a-Go-Go. Any moments that stand out for you? What bands were you glad to see on the show? in a litter, so I know what I'm talking about. But it was cool to meet the Shirelles, Shonen Knife, Sharkula, Shellac, and Shannon and the Clams. I have a thing for "SH" bands. Q- It must have been a thrill to see Morgan Freeman's character watching the show in the movie "The Big Bounce." What was your reaction? like TV better than movies so it would be great to get to watch a little TV whenever I go to the movies. Q - What advice would you have for bands that are starting out? Come on Chic-A-Go-Go...it's your stairstep to stardom! We should feel fortunate to have so many talented musicians making the Chicago area their home. A few of those musicians have come together to form alt country band Falldown. Comprised of members of The Redwalls and The Hue, Falldown, www.falldownband.com, will celebrate the release of its debut EP on Nov. 23 at Martyrs', 3855 N. Lincoln Ave., Chicago. The Anna Fermin Band and Phil Angotti also are on the bill. The show starts at 8:30 p.m., and tickets are $12, available at www.martyrslive.com. I had the chance to multi-talented Falldown frontman Jared Rabin about the band. Q - You've been involved in so many bands and projects over the years. How did Falldown come together? Falldown is a collection of people that I have known and been playing with for years that I thought would be fun to have in a band together. I got it organized and we played some shows over the last couple years, and at some point this year I felt like I wanted to take it to the next level so we did this recording and are hoping to be playing some more gigs starting in 2013. Q - In sitting down to record your EP, what goals did you have? For this record, it being the first real product that we have put out, the goal was to get the wheels rolling. I wanted something we could play for people and to generate interest in a new band for a bunch of musicians who already have a ton of other projects. Also, it's the first time I recorded my own originals in this genre of music, and my first time singing my own tunes on a record, which have always been a goals of mine. Q - Phil Angotti and The Anna Fermin Band will be playing with you guys at the Nov. 23 show. Of course, both acts have developed quite a reputation in the pop/alternative country world. Have they provided any inspiration to you? Our drummer Jordan has played some shows with Phil and is a big fan of his music. They are both really well known and well liked in town and we are definitely honored to have them on the show with us. I am really excited for Anna Fermin to sit in with us. Q - It seems like roots music is back in fashion. Why do you think that is? I think certain genres will always be coming in and out of style, just like in the fashion world. Roots music encompasses so much that you realize it has always been around in one way or another. I grew up listening to everything from the Grateful Dead to Bela Fleck to Miles Davis, all of which have elements of roots music to them and appeal to people in different ways. Q - You started playing violin when you were five. It seems like kids really soak up things at an early age. Was that true for you? Did you take to the violin right away? It is good to start kids at an early age. I don't know how much I loved it; I probably would have rather been playing basketball. But I come from a musical family and there was a lot of encouragement from them to practice and continue playing music. I did not enjoy it all the time, but I did sometimes, and knew I was good at it and stuck with it long enough to be able to appreciate it. Now all I do is play and teach music. Q - Of course, you also teach at The School of Rock. What do you get out of the experience? As a teacher, what do you try to convey to your students? Teaching is not what I thought I wanted to do, but I have gotten a lot of good out of it and realize now that it is part of being a good musician. There are not many good musicians out there historically I can think of who never taught in some regard, ranging from classical greats like Mozart to modern jazz greats like Pat Metheny. They were all teachers, and its part of the evolution of music to pass on what you know how to do. I try to teach my students how to play the guitar instead of just showing them how to play songs. That way, hopefully they will be able to figure out songs themselves using what I have taught them. Q - It also seems like you need a lot of musical variety in your life. Is that important to you? I have been in phases where I am heavily focused on one thing or playing mostly with one band for periods of time, and it is always nice to be able to go do something totally different and play with other people after that. Lately, I will have days where I am rehearsing pop music with the "jobbing" band in the morning, jazz band at DePaul in the afternoon, teaching five lessons and going to play a bluegrass gig at a bar night or something crazy like that. I like being able to do all those things though, and I get to play with a lot of different people because I am pretty versatile. Q - What are the short-term and long-term goals for Falldown? Where do you see the band fitting into the Chicago music scene? Well, the goal is to start playing more in 2013, maybe do some Midwest shows, and start to get the band name out there. I hope to do another record with songs included by some of the other band members, like Liza Day and Pat Lyons eventually. It is such a diverse scene in Chicago and I think our music fits in well in more than one area, so I hope to start playing more on the scene we already know about and continue to broaden our horizons to reach more people as well. The Chicago Roots Collective is making it easy for you to see and hear some of the more adventurous bands on the Chicago music scene today. The Ewing Theory, The Future Laureates, Molehill and Jackpot Donnie are among the bands set to perform at the 4th annual CRC Festival Nov. 16-17 at Beat Kitchen, 2100 W. Belmont Ave., Chicago. More information is at www.chicagorootscollective.com. I had the chance to talk to Tom Mangione, acting CRC president and member of the band Mike Mangione & the Union, about this year's festival. Q - This is the fourth year of the show. What have you learned from past shows and what were your goals for this year's show? When we first started in 2008, the year of our first festival, none of the Chicago Roots Collective (hereafter, CRC) bands had put on a show of this magnitude. Many of us had put bills together, for sure, but they had been the standard two or three act shows. There was a learning curve involved. As a result, the first CRC Festival was very straightforward: we booked the Cubby Bear in Wrigleyville on a Saturday and all 10 acts played in continuous succession. Needless to say, it was a long day and night; we had to start rather early and deciding the order of lineup was brutal. I think we had to draw names from a hat that year because going on too early or too late can be difficult and demanding for a band and their fan base. The following year, we applied the lessons learned. We changed the format to a two-day show and added a singer-songwriter showcase in a separate room. The CRC bands were split over the two nights, five each night, and we reached out to emerging acoustic acts to play the showcase. As such, it became a festival in the proper sense of the term. This year, we also had to pick a different venue to allow our vision to take shape. We decided on the Elbo Room (because it has two floors) and had so much fun there, we went back the following year. This new format also lent itself to the CRC's mission of playing more, bigger, and better shows. Added to this mission, furthermore, was a nascent sense that we could create a community ­ a small, humble haven for singer-songwriters and roots musicians. This year, our goal was to change locations. We decided on the Beat Kitchen because it is a vital venue in Chicago, a change of scenery for us, and it has a space upstairs to accommodate the S/S showcase. Continuing on from this point, I believe we will keep the same format, dedicating the whole weekend to roots music, holding a showcase, and changing locations to pay homage to Chicago's world-class venues. A ­ It was rather interesting this year. Four of the original CRC bands could not commit to play the fest! This, I believe, was a good thing because those bands were already booked for other shows before we decided on a date. We tried to find a weekend that worked for everyone, but failed ­ every proposed weekend a good number of the bands were busy. We took it as a sign that four years on, not only were the CRC bands still active, they had achieved a measure of success and were out and about spreading their music. growth ­ in the right direction. I don¹t mean this as a copout, but I don't think I could point to a standout band. I think the CRC Festival itself is unique and notable as a whole. Our official mission dating back to our first meeting was stated as such: The Chicago Roots Collective is a collaboration of musicians working together to get their music heard. It took us an entire meeting to come up with that gem. Very meager, I know! We were prone to set the bar rather low. But, to be fair, most of us were just starting. Along the way, we changed our perspective. Accordingly, after our first year or so, the primary tenet of the CRC became a mission to feature emerging Chicago musicians. Over the years, the CRC fest has hosted scores of singer-songwriters. Each fest, moreover, has featured about 75 Chicago musicians. That's no small thing for a modest, local festival. What's more, many artists have gone on to make a name for themselves, as soloists or bandleaders, in the Chicago music scene and across the nation. While we don't take credit for launching their careers (it is their talent and perseverance that has done that), we do take pride that we have helped to create a little community within Chicago. From this framework the CRC, as it is now, was born. In addition to the annual fest, then, CRC bands collaborated between fests and put on a large number of shows, in Chicago and now beyond. So, though we started modestly, we achieved our goals and then some. CRC bands have played at all the major venues in Chicago (aside from those above a 1,500 capacity) since founding the collective. In the future, we want to make some changes; though have not worked out the details, in the next six months we will open the membership of the CRC to others. It is time for new blood, we figure, and time to help others to partake in the CRC mission. If anyone is interested, they are advised to email us at: chicagorootscollective@gmail.com. I think Chicago is one of the most difficult markets to play. Chicago has been, and continues to be, a nationally and internationally recognized music hub. But, for some reason, there is not an abundance of locally minded music institutions in terms of infrastructure: radio, print, and even some of the venues. This may be true in cities like New York and Los Angeles, but it is not the norm. In other cities, there are an abundance of radio stations, TV stations, venues, and newspaper outlets that are excited about supporting the local scene. Milwaukee, believe it or not, fits this description. And there are others as well. I've already hinted at this, but in rethinking our mission, we decided that the CRC is a network of like-minded individuals who have a similar sentiment in common: there is strength in numbers. This does not apply solely to the musicians who are fighting an institutional machine, however. The most important part of the equation, the factor that actually creates a scene, is a receptive audience. Along the way we have found many like-minded people who enjoy the roots and S/S sound, and they are willing to take a chance on new music that might otherwise glide under the radar. They come, they listen, they buy albums, and they chat afterwards and share drinks. So, in the end, in a very vital way, the scene is only as good as the people who create and consume it. Seen in this light, Chicago ranks high on the list. Lucy Wainwright Roche continues to carve out her own name in the music world. Roche, of course, is the daughter of influential musicians Loudon Wainwright III and Suzzy Roche, and the half-sister of musicians Rufus Wainwright and Martha Wainwright. But she is proving herself on her own merits, picking up critical acclaim along the way. Roche, who will soon release a new album, "There's A Last Time For Everything," will perform with Lindsay Fuller on Nov. 7 at SPACE, 1245 Chicago Ave., Evanston. Kaia Wilson also is on the bill. The show starts at 7 p.m., and tickets range in price from $12 to $22, available at www.evanstonspace.com. I had the chance to talk to Roche about her latest activities. Q - In sitting down to make "There's A Last Time For Everything," what were your goals? Did you want to build on your last album, "Lucy?" The making of "There's A Last Time For Everything" was very different than making "Lucy" mostly because when I made "Lucy," I had a lot of time to work on it - we recorded and edited over a few months in NYC and we mulled over every decision for a long time. Making this latest album, we had about eight days to track all of the songs and overdubs and to make all of the production choices. This was a totally different mode of working, very fast, very much about gut feelings and going with what felt right in the moment. It was a very different way to work - both exhilarating and stressful! Q - You chose to teach for several years before becoming a musician full-time. Why did you choose that path? Do you think you would ever go back to teaching? I loved working with kids from a very early age and it was always a field I could see myself going into. I loved teaching and would definitely be open to going back into the classroom. I think it's an incredibly creative job - and in some ways, not that different from performing. Both jobs are very much about communication, I think. Q - Of course, you come from a musical family. Do you think it was inevitable that you became a musician? What did your mother and father think of the decision? What musical advice did they give you? Growing up, I really wasn't that interested in going into music. I was shy and not driven to perform at all. I always loved music - I was always a huge music fan - but I wasn't driven to create songs myself or get up in front of crowds of people. I think it wasn't until later, as I got older and went in my own direction, that I realized that I missed the music world and began to be drawn back into the family business. My parents were supportive, but I think they also both know how hard the music business is and so they worry about that. Q - Do you ever feel the pressure of coming from such a musical family? Do you feel like people try to compare you too much to your father or mother, or your siblings? Having the family that I do is a mixed blessing. It's mostly a good thing! Every once in a while there will be some kind of comparison or lumping together that gets to me, but for the most part, it's been a great thing for my work and career. Q - You've opened for your father and toured with your brother. Is there a musical kinship being on stage with them? Do you value those opportunities? Yes, it's really the perfect way to travel with family! You have a common goal, you get to see lots of different parts of the world and you are getting paid! It's also a wonderful thing for us to work together because we are all on tour so often that it's a good way to get to see each other. Q - You've been compared to Joni Mitchell and Patty Griffin. Do you consider them influences in your music? I love them both. I'm huge, huge fans of them both. I hope at least a little bit of what each of them does so well has seeped into my work somehow! 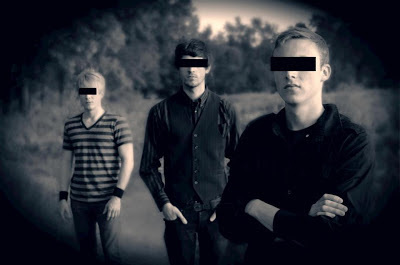 All bands should take as many musical chances as Chicago band Counterfeit i. The group blends surging guitars with electronic beats to create a sound that is totally original. Counterfeit i will bring its unique sound Nov. 16 to Mojoes, 22 W. Cass St., Joliet. Shaman's Harvest and Delightful Downfall also are on the bill. The show starts at 7:30 p.m., and tickets are $10, available at www.theticketrumba.com. I had the chance to talk to frontman Derek Allen about the band's latest activities. Q - How do you think the band's music has evolved since your first release? In forming the band, what were the band's goals? I think we've grown more in terms of composition, live show, and production. I've always been on a quest to become a better and better musician and stay true to myself. That was probably the main goal in founding Counterfeit i. I wanted to play music that was honest, no matter if that meant commercial or not, or heavy or experimental or some sort of combination. Counterfeit i is about striving to play music that is true to who I am. Hopefully, this comes across in the music. Q - In sitting down to make "A Glimpse, an Eclipse," I understand the band wanted to make an album that didn't have a concept. What goals did you have for the album and how successful do you think you were in achieving those goals? With "AGAE," I wanted to make something much heavier than our previous efforts. And I wanted no concept as to not restrain myself on a song-by-song basis. Of course making an album with no concept is a concept in itself, but it was still freeing to write songs on whatever topics I chose and not have to fit them all together in a story or singular idea. I try not to get too specific with goals prior to making an album, I try to just let the creative process take me in the direction it wants to. I know that sounds cliche and cheesy, but it's definitely how I work. But the goals that I did have, I think I achieved. It is super heavy and noisy and really has no concept, which is about all I wanted. Q - You guys are working on a new EP. What are your goals for the new album? Will you be building on your past work? A: This album will be VERY different from "AGAE." The songs seem to be a lot less aggressive, but still intense. Only half of the songs are complete, so I can't say much, but it's a much more organic collection so far. I think it's kind of building off of our "Search Party" EP, but with the heaviness of "AGAE." It's been interesting to see where the songs are going, and we're really excited to get them out there. We're posting updates on the new music at our website/blog, www.counterfeiti.com, and our Facebook page, www.facebook.com/counterfeiti. Q- The band blends so many genres into its music. For those not familiar with the band, is it hard to describe the band's music? How would you describe the band? I think we all have a really hard time describing our music. I usually just wimp out and default to experimental. I never cared much for labeling music or fitting in a genre. Genres are meaningless and music is music to me. I don't want to sound 'experimental' or 'electronic' or 'punk;' I want to sound like myself. But that is a terrible description, ha ha. So to answer your question, I would have to say guitar-based experimental with a heavy emphasis on electronics. We also have a 4-song sampler of "AGAE" up for free at www.noisetrade.com/counterfeiti for those interested in hearing for themselves. Q - You guys opened for Project 86 in August. What does the band gain from such experiences? Is it a learning experience? That was an amazing experience. Project 86 is one of my all-time favorite bands and sharing the stage with them was just awesome. I wouldn't say it was a learning experience so much as it was a confidence booster and great time overall. Being able to play at a great venue and then watch one of your favorite bands is just amazing and inspiring and we are really thankful for the experience. Q - How do you think the band fits into the Chicago music scene? Not very well, ha ha. But I don't think we fit into any scene very well. That said, we've made some great local (and beyond) friends and always enjoy playing with other Chicago bands, even ones that we are really different from.